On April 29th, T-Mobile announced its plan to merge with Sprint. The deal still needs to be approved by U.S. regulators, and it could be a year or more before both carriers close on the transaction. In addition, there always is a chance that the merger doesn't get approved. Remember, back in 2011 AT&T agreed to buy T-Mobile for $39 billion. The deal was killed by AT&T after the Justice Department filed a suit to block the transaction. Those were the days when T-Mobile was a 96 pound weakling, a far cry from the carrier that today is the one the others emulate. Still, it doesn't hurt T-Mobile and Sprint to think back at those days, and make preparations just in case this new deal also gets the kibosh from the U.S. government. And in fact, both carriers are continuing to improve their respective networks according to Deutsche Bank analysts. In a letter to clients, Deutsche Bank notes that neither T-Mobile or Sprint are slowing their "pace of activity" since the merger announcements. T-Mobile continues to expand deployment of its low-frequency 600MHz spectrum (that it paid nearly $8 billion for in last year's FCC auction), and is expanding capacity in certain markets with the use of small cells technology. 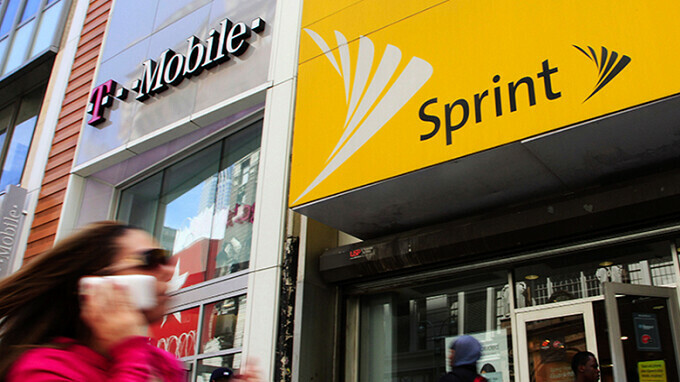 Sprint is expanding the use of its high-frequency 2.5GHz airwaves and using newer macro sites and small cells to expand coverage. The global bank says that both firms would have done the very same things had no deal been announced. According to Fierce Wireless, T-Mobile and Sprint currently own a combined 110,000 towers. If the merger goes through, 35,000 of these will be shut down and 10,000 new towers will be built. That would result in the new T-Mobile working with 85,000 cell towers and 50,000 small cells. Currently, both firms combined operate 10,000 small cells. Those working on Wall Street say that the T-Mobile-Sprint merger isn't going to affect plans by Verizon and AT&T to spend on their pipelines. The Deutsche Bank analysts see Big Red working on LTE densification and laying the groundwork for 5G. AT&T is adding new frequencies including 700MHz and AWS-3, that will contribute to the top line next year. One thing that is surprising several analysts is the carriers' continued spending on macro tower build outs. Many had figured that the wireless operators would be working on adding small cells instead of upgrading their large towers. Macro towers are expected to be a major part of the carriers' 5G build out. Does it means if you have a phone that support GSM & CDMA you will get better coverage after the merger? Maybe on the gsm side. Expect CDMA to go away. That means they know that merger will not get approved. U do know that Marcelo actually been promoted into an executive at SoftBank and not the CEO anymore. His main job is to actually oversee John and the merger at the moment.